When Did Allen Klein Buy John Lennon's White Rolls-Royce? One primary aim of this research blog has been achieved. We now know that John Lennon's white 1965 Rolls-Royce, last seen in public in the mid 1980s, still remains the property of the Klein family and is currently being restored in England. 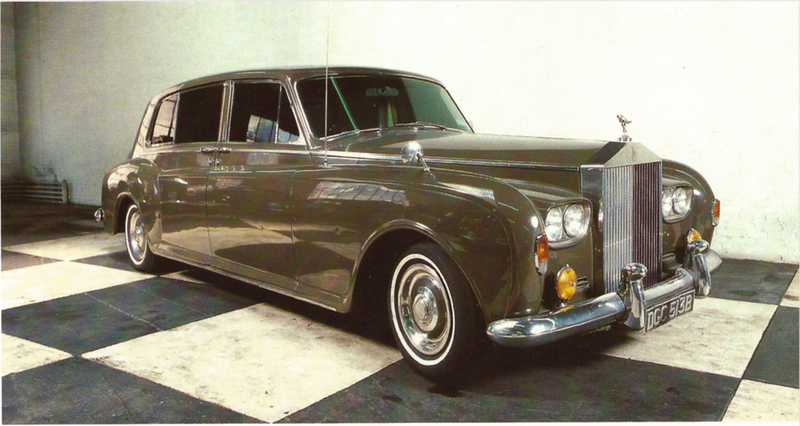 However, two salient points remain unanswered: when exactly did Lennon purchase this second-hand Phantom V Rolls-Royce, and when did he sell it? 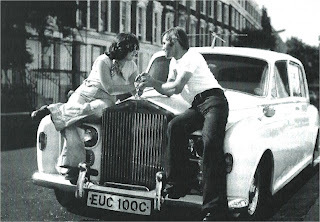 In answer to the first question, we have established that he bought the ex-hire car in 1966, the same year that it appeared in the film, Georgy Girl. What we don't know is the precise date. Based on circumstantial evidence, we strongly suspect that Lennon felt the need for for a second Phantom V after his first encounter with Yoko Ono at the Indica Gallery in London on 9 November 1966. It is on record that soon after purchasing it, Lennon gave instructions for the entire car to be made white, both inside and out. Surely, this could only be a kind of homage to Yoko Ono, since white was her signature color. 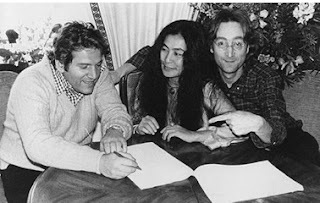 As for the date that John Lennon sold the white Phantom, elsewhere in this blog it has been suggested that perhaps ownership transferred to Allen Klein in 1977, when Yoko Ono negotiated a deal with Klein which put an end to several years of litigation. Recently, though, new information has emerged that contradicts this assumption. My job during 1969 also now included keeping close to Klein, but he was only in the UK about one week in every eight. He was mostly based at his glass tower in New York, the ABKCO offices, on Broadway. A bit later in the year, Allen asked me to pick up his new car. Actually, it was John's old car, his Rolls-Royce Phantom V limousine, EUC 100C. Lennon had bought it in 1966 and completely resprayed it (white) and refitted its interior (white shag and white seats). John liked white. Lennon and Klein sealed the deal. $50,000, I think. Good price, John. I picked the car up at Hoopers in Kilburn and ended up driving it for the next decade, on and off. We are inclined to believe Alf Weaver's claim, despite Tony King's recollection that the car remained in the garage at Tittenhurst after Ringo bought John and Yoko's mansion in 1973. After all, if anyone is in a position to know when Allen Klein bought EUC 100C, it's Klein's driver. Tuesday night's History Detectives program focused exclusively on rock music collectables, the dramatic intrigue hinging on determinations of whether certain rock culture artifacts were the Real Thing, or fakes. After having spent the past couple of years trying to find the whereabouts of John Lennon's white Rolls-Royce (5VD63), and in the process of doing so encountering several fakes, the roughly seventeen minute sequence of Tuesday night's show devoted to authenticating the electric guitar Bob Dylan played at the Newport Folk Festival on 25 July 1965 seemed strangely familiar. Of the many foundational myths of rock culture, the 1965 Newport Folk Festival is perhaps one of the most heavily mythologized, having been repeatedly subjected over the years to a number of misrepresentations, distortions, and false claims. For many years, the predominant myth surrounding Dylan's Sunday night appearance at the festival was that Dylan was booed by an irate crowd because he had “betrayed” folk music by playing rock & roll. Recent revisions have attempted to redress this inaccuracy, but there are still widespread misperceptions. To name just a few: First, Dylan had already “gone electric" before that night, otherwise he wouldn't have had a Fender Stratocaster to play. Second, earlier, on 26 March 1965, he had already appeared on stage with The Byrds at Ciro's Le Disc nightclub on the Sunset Strip in Hollywood, this just prior to the release (on Columbia Records) of The Byrds' cover single of “Mr. Tambourine Man” on 12 April 1965, over three months before the Festival. In a sense, the “electrification” of Dylan had already occurred prior to the Newport Folk Festival, with the release of The Byrds' cover version of Dylan's song. Just so the point cannot be conveniently neglected, The Byrds sold more records for Columbia during the mid-1960s than Dylan. Third, Dylan had already recorded “Like a Rolling Stone” prior to the Newport Folk Festival, the single being released about five days before he appeared at the Newport Festival. 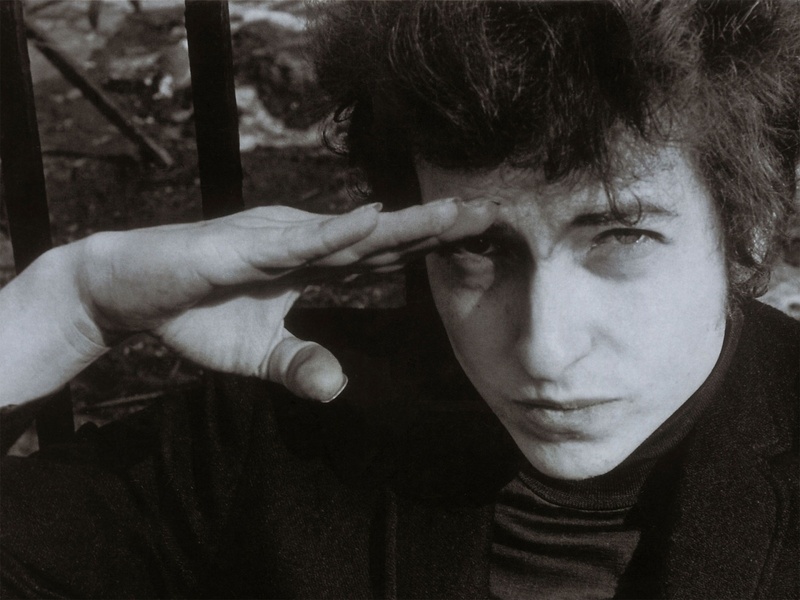 The assertion that Dylan was “transformed” that night “from a protest folkie to a rebel genius” is an example of what Robert Ray calls “critical senility,” an over-emphasis on the careers of aging Sixties stars that is at least one consequence of the utter lack of interest in the work being done by younger, contemporary artists. Moreover, only someone biased against folk music would make such a claim anyway -- note the condescending tone suggested by the use of the word “folkie.” At the very least, Dylan's popularity increased as a result of The Byrds' success, whose cover of “Mr. Tambourine Man” reached No. 1 on the pop music charts weeks before the 1965 Newport Folk Festival. Coupled with the fact that “Like a Rolling Stone” was released by Columbia Records on 20 July 1965 -- coinciding almost to the day with Dylan's appearance at the Newport Folk Festival -- in retrospect Dylan's appearance at the Festival playing a Fender guitar and performing, among other songs, “Like a Rolling Stone,” is not so much a transformative event as it was a shrewd act of promotion by CBS and Columbia Records. Bob Dylan did not transform himself into a “rebel genius” at Newport. To understand why not, I recommend that readers refer to my earlier entry on prophetic cool, a form of cool, following Michael Jarrett, “characterized by barely harnessed rage.” Exemplary figures of prophetic cool are the young Bob Dylan, Bob Marley, and Ice-T. In contrast, figures such as Jack Kerouac epitomized “philosophical cool,” which might also be called existential cool -- the self as an effect of performance. In addition to Kerouac, exemplary figures epitomizing existential cool are Frank Sinatra, Elvis Presley, Keith Richards, Snoop Doggy Dogg, and the old Bob Dylan. The Bob Dylan that appeared at Newport on 25 July 1965 playing an electric guitar remained as he had been before that night: a model of prophetic cool.